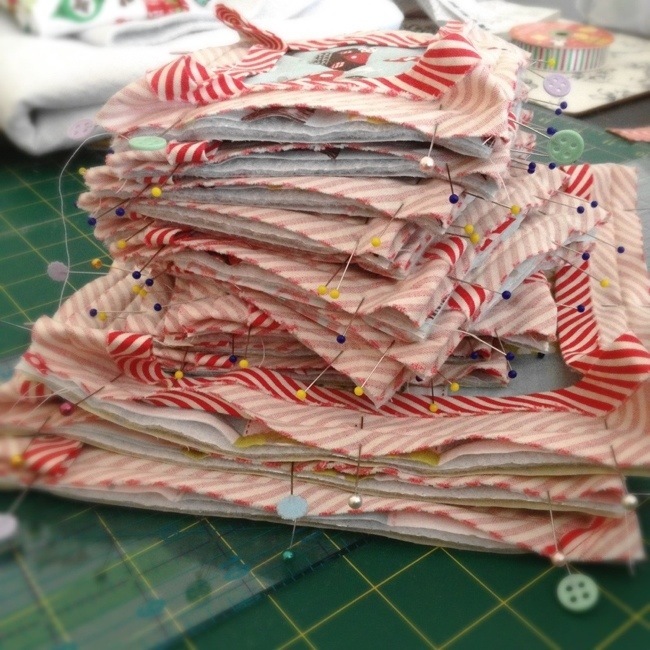 Binding pinned and ready to sew! Hope to show you the finished sets this week. While we’re on the topic of pinning, do you have favourite pins? I bought some clover quilting pins the other week and they’re so fine and good that I want to throw the rest of my pins out! I love T-pins, but I mainly use pins for blocking shawls. They’re so strong and durable I actually did throw out all of my other pins.